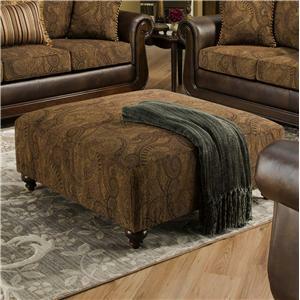 The 2100 Square Cocktail Ottoman by American Furniture at Prime Brothers Furniture in the Bay City, Saginaw, Midland, Michigan area. Product availability may vary. Contact us for the most current availability on this product. Padding & Ergonomics 1.8lb density foam core with gel-infused foam topper and fiber filled case for a luxurious sit that offers superior support. Cozy, casual style and plush seats combine to create the inviting look this living room collection will bring into your home. Consisting of sofas, chairs and two ottomans as well as sectional options, each piece in this collection features wrap-around pillow top arms and an abundance of loose back pillows to help you get comfy. 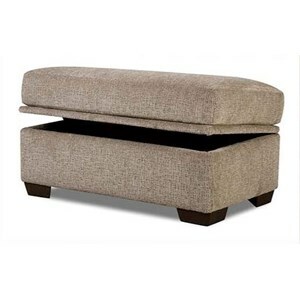 For added comfort, exclusive Cloud Comfort seat cushions with a thick layer of memory foam create a plush experience that your friends and family will love. 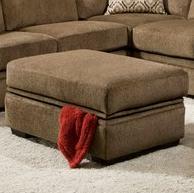 The 2100 collection is a great option if you are looking for furniture in the Bay City, Saginaw, Midland, Michigan area. 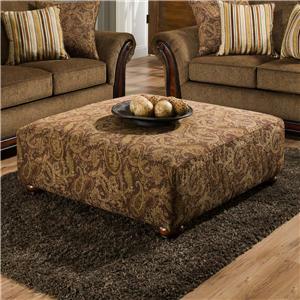 Browse other items in the 2100 collection from Prime Brothers Furniture in the Bay City, Saginaw, Midland, Michigan area.